By the end of the 11th century the empire of the Seljuk Turks had disintegrated into several little clan-states, unable to unite against the crusaders or later against the Mongols, but they held onto the lands they had occupied in Asia Minor, the modern Turkey. The Byzantine Empire never recovered from the destruction wrought on it by the 4th Crusade’s capture of Constantinople in 1204, and the last crusader states in Palestine fell to the Egyptians in 1291. In the early 14th century a certain Osman was Bey (chieftain) of a small territory in western Anatolia near the greek city of Bursa. His descendants became known as the Ottomans. Early conquests saw the Ottoman Turks take Bursa in 1397 and Nicaea two years later. Greek emperors were by this time restored to Constantinople, but there were frequent battles for the throne in which the rival claimants were foolish enough to employ Turks as mercenaries. In 1354 the first Turks crossed the Dardanelles into Europe, helped by an earthquake which destroyed the castles guarding the straits. Soon large numbers of Turkish settlers followed, creating pastures and farms and raiding deep into the Balkans. In 1362 they took their first major city in Europe, Adrianople, which they renamed Edirne. The once-great city of Constantinople was now virtually under siege: mainland Greece was occupied by Latin mercenary forces, and in the Balkans the kingdoms of Serbia and Bulgaria were independent of Byzantine control. In 1356 King Stephen of Serbia died, and his kingdom soon disintegrated. The Serbs suffered a decisive defeat by the Turks at Kossovo in 1389, and Serbia was reduced to a vassal-state of the Turks. At the same time the Tsar of Bulgaria was also forced to become a vassal. Turkish power extended up into Wallachia and Moldavia, modern Romania, and Hungary was threatened. The native peasantry probably found Turkish rule no more oppressive than that of their former masters. No attempt was made to assimilate the conquered peoples, of whom only a small proportion ever converted to Islam. Vassal troops from Europe were sent to hold the frontiers in Anatolia. Early Turkish government was primitive, relying on plunder rather than systematic finance. The early Ottoman sultans were illiterate, and were happy to take wives and concubines from the conquered people, which meant that they soon ceased to be fully Turkish in any genetic sense. One Islamic tradition which was maintained was the training of non-Moslem boys as slave-soldiers, known as “Mamluks”. In 1365 Sultan Murad I formed an elite guard of these, called simply the “New Troop” - the “Jeni Ceri”: to become famous and dreaded throughout Europe and the Near East as the “Janissaries”. Soon the forcible conscription of Christian youths to serve as Janissaries became a rgular tribute imposed on the conquered lands, causing much resentment. In 1389 Sultan Murad was murdered in his tent by a Serb assassin. His son by a Byzantine princess now seized power. His name was Bajazit, nicknamed Yilderim, “the Thunderbolt”, whose reign was to be one of the most extraordinary and tumultuous of the age. He immediately embarked on a career of conquest, with his Ghazis (religious zealots who fought for the glory of Islam and the extermination of idolators) ravaging into Macedonia and Bosnia. In 1393 he seized Nicopolis, a Bulgarian fortress on the Danube: the Bulgarian Tsar Ivan, who was supposed to be a vassal, protested and was strangled. Bajazit’s next step was to lay siege to Constantinople, but called it off on hearing alarming news from the west. For ages, the popes had appealed for a new crusade, but without any useful result. The main stumbling-block to full co-operation against Islam was the religious divide between the Catholic west and the Greek Orthodox church of Byzantium: always a source of mutual suspicion or downright hostility. The Serbs, Bulgarians and Wallachians were also Orthodox, which divided them from the Catholic Hungarians. In 1369 the Emperor John V was so desperate for aid that he visited Rome and promised mass conversion of the Orthodox church to Catholicism; a promise that was promptly repudiated by his own clergy. But now King Sigismund of Hungary was seriously worried, and sent envoys to the King of France, with whom he had connexions by marriage. This was a period of peace between France and England, and the Hungarian appeal awakened great enthusiasm, notably from the young Count of Nevers, son and heir of the duke of Burgundy. An army was raised from the flower of the French nobility, with support from the Venetians, from some German princes, and from the Knights Hospitaller in their bases at Rhodes and Smyrna. A great expedition set out in April 1396, to link up with Sigismund at Budapest in July, while Venetian ships brought the Hospitallers through the Dardenelles straits, along the Black Sea coast and up the Danube. The total force probably numbered perhaps 10,000. Sigismund was cautious, and advised waiting for Bajazit to advance into Hungarian territory before giving battle. But the Turks did not move, and the French insisted on an aggressive campaign, being full of grandiose plans to march through to Constantinople and thence across into Palestine. The armies therefore advanced down the Danube to join with Wallachian and Transylvanian allies. The advance was marked by increasing jealousy and squabbles, and by the bad behaviour of the French vanguard as they moved into the lands of the Greek Orthodox church. They reached Nicopolis in September, but since they had neglected to bring any heavy siege equipment with them, they settled down in an ineffective siege of the city. 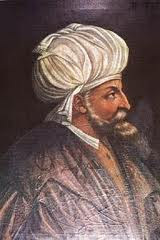 Bajazit meanwhile had called off his attack on Constantinople, and advanced to meet the crusaders. Battle was joined on September 25th 1396. The first move was made by a Turkish vanguard. King Sigismund, who was familiar with Turkish tactics, told the crusaders that this would merely be an initial probing force, made up of untrained peasant conscripts: his infantry could easily hold them off, and the French cavalry should hold back until more significant forces appeared. But the French knights insisted on charging, with results which Sigismund could have predicted: they scattered the Turkish advanced guard easily, but then pressed onwards and were caught and surrounded by a counterattack by the Turkish cavalry. The Wallachians and Transylvanians, deciding from this that the battle was lost, promptly fled the field, whereas the Serbs, vassals of the Turks and bitter enemies of the Hungarians, hastened to join in on the winning side. The Hungarian forces were smashed. King Sigismund and the Grand Master of the Hospitallers managed to escape to their boats on the Danube. But the French fought on until they were killed or forced to surrender. A few great nobles were held for ransom, others were sold as slaves, but the rest, whose numbers were estimated as anything from 300 to 3,000, were deemed not be worth the trouble and expense of keeping alive, and had their throats cut. The news of the disaster horrified France. A huge ransom of 200,000 gold ducats was demanded. Some lucky few, including Nevers, were allowed home in return for a down-payment, but many died in captivity before they could be redeemed. So ended the last serious attempt at a crusade against Islam. Nicopolis doomed the Balkans to many centuries under Turkish rule, though Bajazit’s losses were such that he had to postpone any attack on Hungary. It seemed certain that Constantinople would soon fall; but this did not happen, for soon afterwards Bajazit the Thunderbolt came up against a foe far more deadly that himself.